Have you ever had those moments that you wanted to hit the gym or go to a yoga class but you just don’t know where to go or you feel that you don’t have the time? You can say goodbye to those moments because the solution is just between your fingertips and your mobile phone. A start-up that is bound to change the fitness industry, KFit helps you discover, plan, and reserve fitness, beauty and wellness activities near you, anytime. Once you have the app on your device, it automatically gives access to a huge variety of activities that suit your needs, whether you want to relax at a spa, pamper yourself with a new haircut or go for a workout at a studio near you. 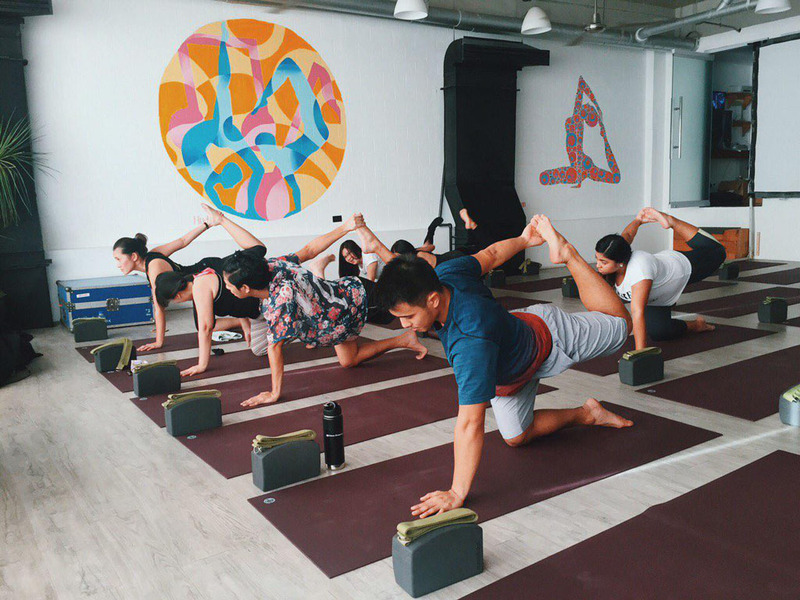 You can choose to purchase individual fitness, beauty and spa activities, or opt for the KFit Pass, which entitles 10 fitness activities per month at only PH999. In addition to conventional gyms and studios, KFit also gives customers access to a wider choice of fitness facilities including badminton and tennis courts as well as swimming pools. This eliminates repetitive fitness workouts. It lets you discover new fitness locations, and at the same time learn about the perfect activity for your busy schedule. “As KFit continues to gain popularity, it goes to show that lifestyle apps change our awareness and access to fitness and health. 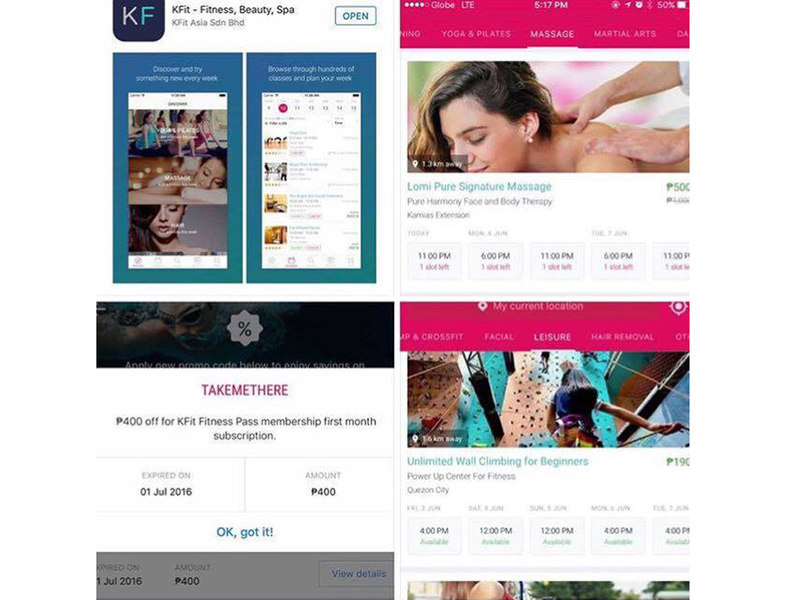 As Globe partners with this latest fitness app, we want our customers to have the advantage over KFit’s large number of service providers that includes a wide selection of amazing fitness studios, gyms, and sports facilities, beauty salons, and spas. And the best part about KFit is that it is available in nine cities across Asia Pacific. You can stay active even while you are traveling for holiday or business across different locations,” shares Dan Horan, Globe Senior Advisor for Consumer Business. To get you started, Globe and KFit is giving Php400 off the Fitness Pass for every new sign-up exclusive to Globe customers. You just need to key in the promo code “TAKEMETHERE” in the “Promo Code” field provided. Each promo code has its value in its respective currency, and can only be used in that particular country. The promo code is valid until August 2016. To learn more about KFit and how you can start setting your fitness goals, visit www.Kfit.com or download the KFit app. For more information on Globe and its latest products and services, visit www.globe.com.ph.